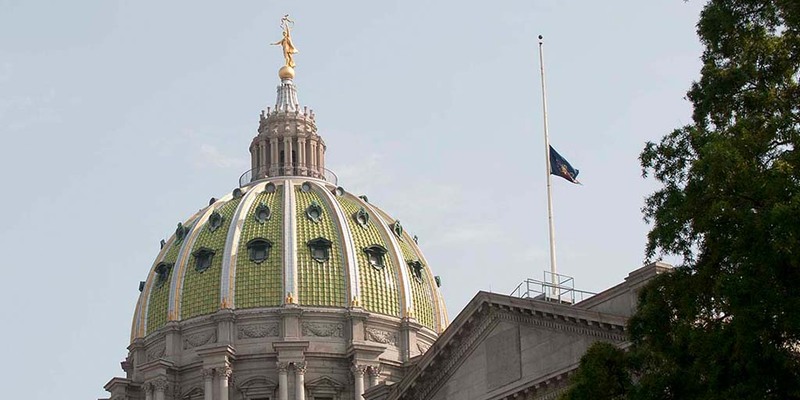 Harrisburg, PA – Governor Tom Wolf has ordered the Commonwealth flag to fly at half-staff at the Capitol Complex and at all Commonwealth facilities in Monroe County in honor of Michael Tripus of Stroudsburg, Monroe County. The Commonwealth flag shall be lowered immediately until sunset, Sunday, December 2, 2018, the day of Tripus’s interment. All Pennsylvanians are invited to participate in this tribute.